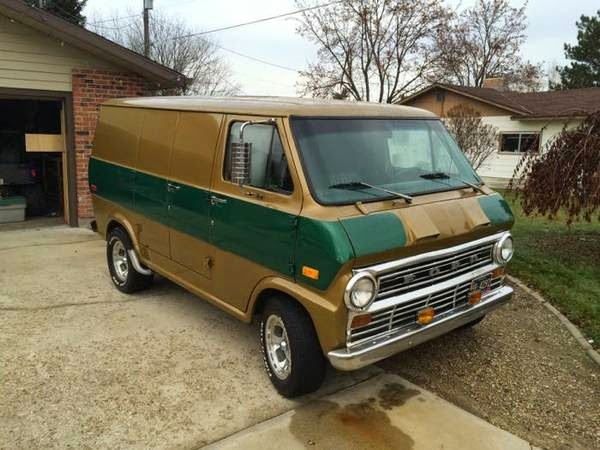 Sometimes a craigslist listing is so awesome that it doesn't need a bunch of hyperbole, conjecture, and ridicule from the authors on this site...so without further ado, checkout this 1972 Ford E-100 Van offered for $8,200 in Caldwell, ID via craigslist. Tip from FuelTruck. 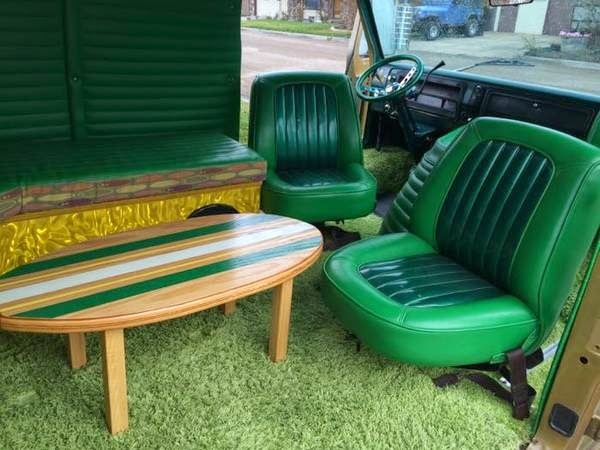 Custom 1972 Ford E-100 for sale. This van is a real show stopper. It has been redone on the inside with John Deere green Naugahyde, gold drum wrap, and era specific shag carpet. Custom made table and surf board foot stool are included. It was pictured in the July 2011 issue of Hot Rod magazine. I recently had new brakes installed. It was burning some oil so I had the valve seals replaced and it's good to go. Also had a new heater installed. It has a 302 and automatic transmission. It's always started easy and runs strong. 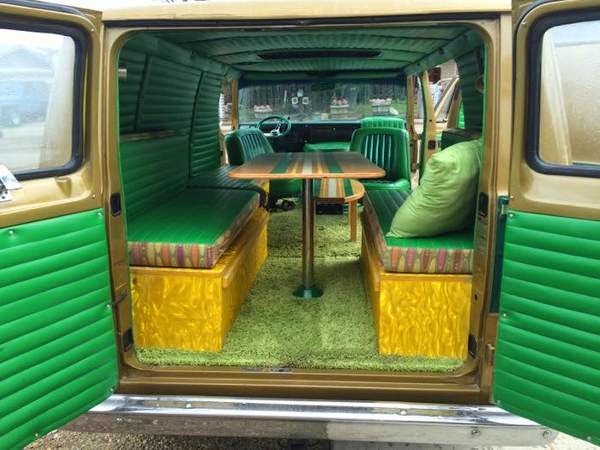 The green shag carpet is surprisingly free from the typical stains/odors/DNA that you get with 99% of the custom vans offered on craigslist. Right outta 1974, that one is. Couple of bags of candy and you are set. 70s-80s era dated stuff is getting pretty hot right now. I wouldn't be surprised to see shag wagons like this at higher prices in a few years. When is the coyote desert scene being painted on? 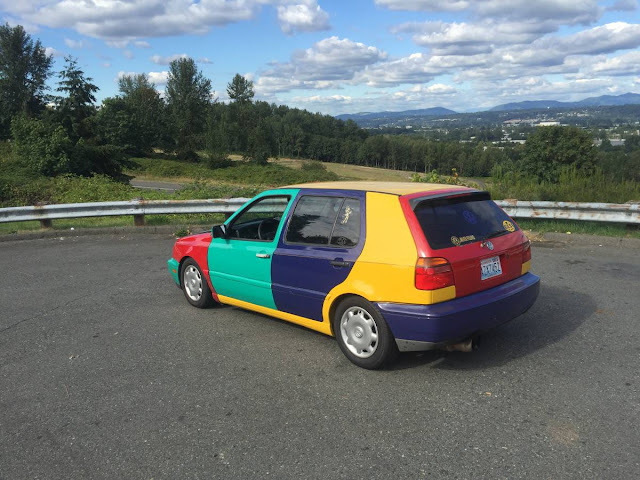 The green steering wheel makes it for me. serial killer dressed as a clown is redundant. Don't listen to me. Listen to Kermit. . .